Ardsley Motors offers the power and capability needed to perform comprehensive and thorough diagnostic troubleshooting, previously only available through dealers. Ardsley Motors has been providing top quality auto repair and maintenance services in Ardsley and Westchester, New York since 1985. Our family owned and operated repair shop specializes in both foreign and domestic vehicles. With more than 33 years of experience, Ardsley Motors can effectively and professionally handle all your automotive needs. 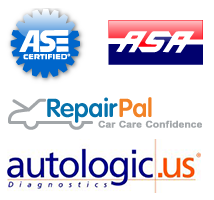 Our technicians are all ASE certified and excel at automotive electronics and diagnostic troubleshooting. We utilize state-of-the-art technology to determine the proper care for your vehicle, and save you money. We warranty all of our work, and our friendly, knowledgeable and professional staff is here to answer any of your questions honestly and efficiently. We are your dealership alternative, without the premium prices and long wait times! So call today or schedule your auto service appointment online. We’ll get you back on the road as quickly and easily as possible. Are you in the market for a preowned vehicle? Ardsley Motors is your best alternative to the dealership – we offer the premier preowned car buying experience! We offer a comprehensive online look at the inventory of the preowned cars we have available, simply check out our inventory here for more information including: vehicle mileage, car features, a free CARFAX report, and so much more! We are also happy to now offer great financing options to help you hit the open road in a beautiful preowned car. Do you have a car to sell? Ardsley Motors would also love to work with you in buying your used car. We invite you to stop by, peruse our inventory and ask us about our easy financing options today!